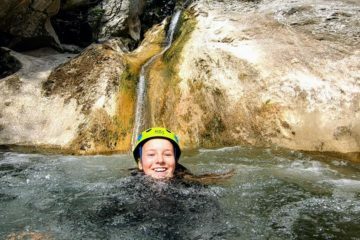 Welcome to the new blog from Undiscovered Montenegro! 2018 is going to be an exciting year for us, so starting today and then as often as we can, we shall be updating you on developments of all kinds here at Lake Skadar and beyond! 2017 was our busiest season ever, but work doesn’t stop during the winter. We’ve been pretty busy already. We’ve purchased several new kayaks and replaced our dearly beloved “Caroline” (a rather tired 1997 Landrover Discovery) with a newer 4×4, and of course we are embarking upon our usual Grand Winter Project. Previous winters have seen us install a hot-tub (2013), build a water recycling system (2014), a whole new house (2015), a boules court (2016) and an eco-cabin to house our fabulous summer volunteers (2017). This year, we’re really pushing the boat out – on 13th December work started on Villa Miela’s new swimming pool! Additionally, by this spring we hope to have our new, improved website on-line (where you’ll also be able to more easily follow this blog as well our Facebook, Instagram and Twitter updates), and it’s here we shall also be launching several new holiday offers as we expand our operations into the north of Montenegro, Albania, Croatia and Bosnia. Home » Blog » Welcome to the new blog from Undiscovered Montenegro! 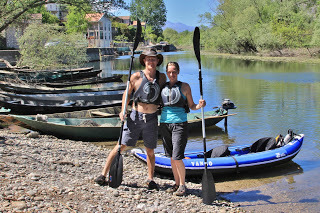 Kayaking, hiking, wild-swimming and more at awesome Lake Skadar! A dual lake and mountains experience for the whole family! 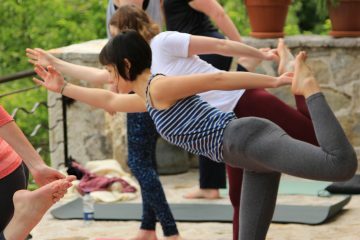 Daily expert-led yoga sessions and multiple activities around Lake Skadar! Enjoy an incredible week bird-watching in Montenegro's untamed nature! Undiscovered Montenegro is a 10 year old UK adventure travel company specialising in activity holidays and tours in areas of untouched natural beauty, like Lake Skadar National Park, home to our activity base Villa Miela. 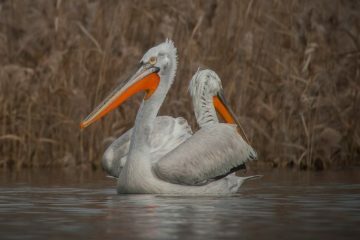 Could tourism help save Lake Skadar’s Dalmatian Pelicans?